(Natural News) Many people with acne try to treat the condition with chemically formulated facial washes, soaps, lotions, creams, and other synthetic treatments. However, most of these acne treatments come with side effects. So, in search of natural acne treatments, researchers from Kyung Hee University Medical Center in Seoul, Republic of Korea, found that bitter aloe (Aloe ferox) can potentially be used as a natural treatment for acne because it possesses components that have anti-acne and anti-inflammatory properties. In the study, which was published in the Journal of Herbal Medicine, the researchers examined bitter aloe to determine whether it possesses components that may have anti-acne and anti-inflammatory properties ideal for use in acne treatment. They prepared different extracts of bitter aloe and tested them against Propionibacterium acnes (P. acnes), a bacterial species that causes inflammation leading to acne. Based on the results of the experiment, bitter aloe extracts prevented the proliferation of P. acnes. In addition, the extracts greatly reduced the elevated levels of inflammatory cytokines caused by P. acnes. The researchers suggested that bitter aloe could be further studied as a potential treatment for acne. In conclusion, the findings of the study revealed that the extracts of bitter aloe possess anti-P. acnes and anti-inflammatory effects. This suggests that the extracts of bitter aloe could potentially be used as an agent for treating acne. Bitter aloe as a laxative — Bitter aloe is most commonly used as a laxative, which is used to purge the intestines and stimulate bowel movements. In a 2004 study published in the Alimentary Pharmacology and Therapeutics journal, researchers found that taking bitter aloe for four weeks may improve the symptoms of irritable bowel syndrome (IBS). Bitter aloe as a treatment for sexually transmitted infections (STIs) — Researchers from the University of Fort Hare in Alice, South Africa found in their 2005 study, which was published in the journal Pharmaceutical Biology, that compounds from the sap of bitter aloe possess antimicrobial properties used for treating STIs. 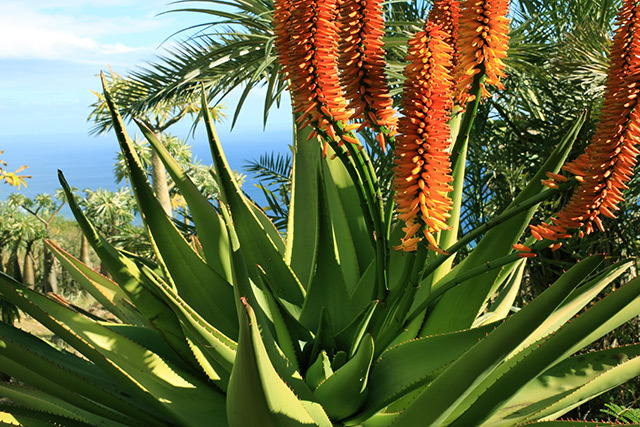 Another study in 2008, which was published in the African Journal of Biotechnology, revealed that the extracts of bitter aloe exhibited activity against six strains of gonorrhea. Bitter aloe as an allergy remedy — Bitter aloe can help relieve allergic rhinitis. In a study published in the journal International Bibliographic Information on Dietary Supplements, researchers examined the effects of bitter aloe on mice with allergic rhinitis. Results of the study revealed that the bitter aloe relieved inflammation and nasal mucus. Bitter aloe as a wound treatment — A 2008 study published in the Journal of Ethnopharmacology compared the compounds from bitter aloe with compounds from another aloe genus on wound healing and measured the growth of bacteria and fungal spores. The researchers found that bitter aloe showed therapeutic properties, accelerated the healing process, prevented some microbial growth. In addition, it did not cause any side effects on the skin. They concluded that bitter aloe could be used as a treatment for wounds. Read more news stories and studies on treating skin problems naturally by going to AlternativeMedicine.news.